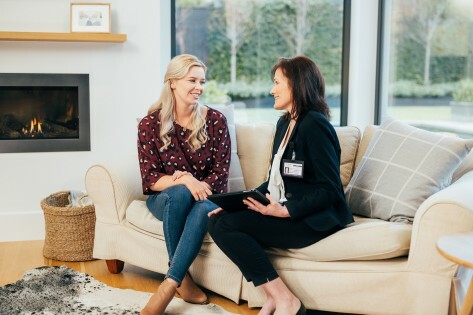 In Elsternwick, MyHome makes use of a very sophisticated Dry-Touch carpet cleaning system which allows you to walk on your carpets in as little as one hour after we’ve cleaned. The solutions we use are infused with Healthguard which successfully rids your carpets of mould bacteria and fungi. It will restore your carpets and rugs to their natural balance, brightness and softness. 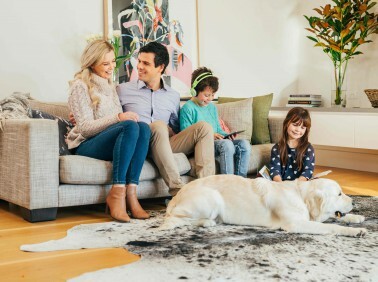 There will be no wet carpet or chemical odour left to worry about either with the MyHome Dry-Touch system. All you will smell will be a fresh lemons. So that you can avoid having your carpets shrink or stretch, MyHome cleaners in Elsternwick never use harsh chemicals, excess water or high heat. We will also thoroughly vacuum your rugs and carpets before cleaning them with our Dry-Touch cleaning services for better results. The good folks of Elsternwick often install carpet on their floors because they know it will keep their homes warm and cozy. They also like carpet because of the variety of colours, styles and designs it comes in. While keeping your home warmer with carpet, you will also save more money on your energy bills and keep your children and pets warm and comfortable. It also lets you add your touch of style to your living areas. The best way to keep your carpets looking and smelling clean is to schedule professional cleaning with a reliable Professional carpet cleaning service like MyHome Elsternwick. With MyHome Carpet Cleaning in Elsternwick regularly cleaning your carpets they will stay fresh, clean and healthier. This is also an exceptional way to preserve your investment. The Dry-Touch cleaning system used by MyHome is innovative and extends the life of your rugs and carpets. This will save you the trouble of having to replace them as often. Your carpets will continue to look good and smell fresh longer. In addition to that, MyHome will clean your carpets without soaking them with too much water, which will help them to stay fresh and dry fast enough so that you can walk on them in just one hour. 100% Satisfaction – Guaranteed! So Effective? The confidence we have at MyHome Elsternwick Carpet Cleaning service is enough for us to guarantee our work. If you don’t like what we do, let us know, we will come back and do it again without any extra cost to you! Cleaning carpets often appears to be a simple, straightforward chore, but it isn’t. Your best bet is to hire the carpet cleaning company in Elsternwick with a difference – MyHome. That’s because traditional carpet cleaning services generally use a mixture of chemicals and hot water before extracting them. This hot-water method causes damage to carpet fibres and fabrics and leaves your carpet and rugs soaked and smelling like chemicals. The damp residue becomes a magnet for more dirt and germs. Now, if what you desire is hygienically clean carpets, but you don’t want the disadvantages or risks that come with traditional carpet steam cleaning contact MyHome on 13 22 31. An alternative way of reaching us is to fill in our online form, and we will give you a call to set up a free quote.